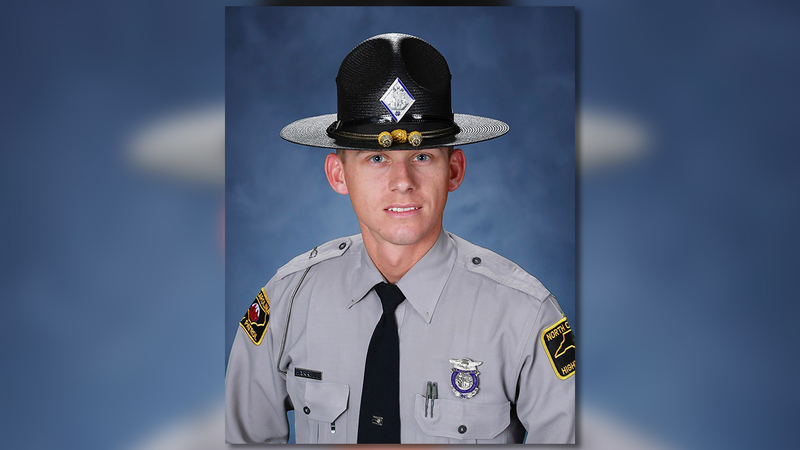 Trooper Daniel Harrell is recovering at a hospital in Greenville. ELM CITY, N.C. (WTVD) -- The man accused of shooting a North Carolina State Highway Patrol Trooper Monday evening, sparking an intense search, appeared in court Tuesday and is being held on more than $1 million. On Tuesday morning, a judge set the bond for 36-year-old John Jones at $1.02 million. Three men face charges in the shooting of a state trooper in Wilson County. He is accused of trying to shoot and kill Trooper Daniel Harrell, a five-year veteran assigned to Wilson County. Harrell is still in the hospital with what were described as serious but non-life threatening injuries. According to an arrest warrant, Harrell was shot in the neck and face. "I spoke with Trooper Harrell last night and appreciate his service, his bravery, and his dedication," Public Safety Secretary Erik A. Hooks said Tuesday. "On behalf of the DPS Leadership team, I want him and his family to know that we support him and pray for his smooth and speedy recovery." On Tuesday night, a relative of the trooper's told ABC11 that Harrell was "doing well" and continuing to recover after undergoing surgery. Jordan Baker said he's known Harrell half their lives. "He's always wanted to be a trooper like his daddy and granddaddy," Baker told ABC11. "He loves his job. It's what he was born to do. You never think that's going to happen to one of your best friends." Baker said the two hunted, fished, and played sports together in Edgecombe County. "He's a great guy," Baker said. "We've been friends for a long time. He's never done anything wrong." Two of the suspects, 40-year-old William Boswell and 25-year-old Bryan Mullins, were taken into custody Monday evening. Around 12 a.m., officials arrested Jones in a wooded area off Cattail Road near Weaver Road. Jones was charged with assault with a deadly weapon with intent to kill inflicting serious injuries and assault on a law enforcement officer. Boswell and Mullins were charged with possession of a stolen motor vehicle. They were booked into the Wilson County Detention under a $15,000.00 secure bond. Support poured out for the wounded trooper as officials asked for prayers. "This needless assault provides another reminder of the perils law enforcement officers face each day," said Col. Glenn McNeill Jr, commander of the State Highway Patrol. "I would ask everyone to keep Trooper Harrell's family and our entire organization in their thoughts and prayers." We have received word that a State Trooper has been shot in Wilson County. Suspect is on the run. Trooper is being transported to the hospital with condition unknown. Praying for the trooper! Praying that 2019 gets better. We can't stay on this path. Trooper Harrell is the son of retired Sergeant L. C. Harrell and the grandson of retired Trooper T. C. Cherry. We stand with the @NCSHP and they are in our thoughts and prayers as one of their own was shot this evening in Wilson County. Prayers for a complete recovery. Our prayers going out right now @NCSHP . Praying for the trooper in Wilson , and his family , that he will be ok !